Gypsy 1 2 Bench Dining Set which gives you wonderful experience as it provides you comfortable and relaxing chairs. This is a perfect dining set for your loved ones as it also gives a better looks in your dining area. The color and designs which are used in the furniture of this dining are set is very charming and attractive. There are many options of dimensions in the size of the chair, table, and a bench that you can buy according to the size of your dining area. 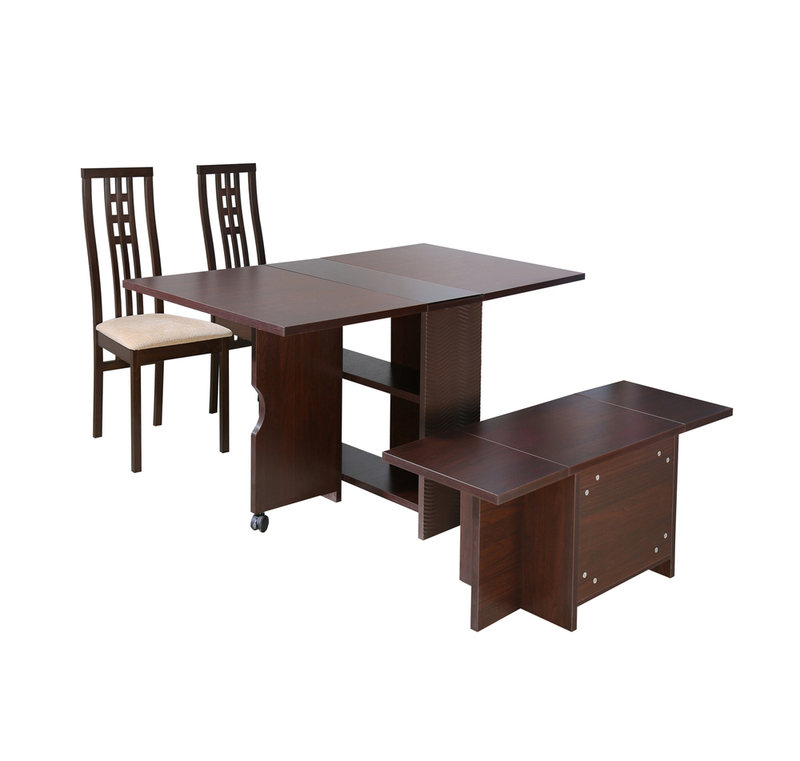 The quality of the material is very good and you can have faith in this awesome dining set. MDF is used for table legs as well as for table top also. Melamine is used for giving a better finishing to this smart looking which enhances its durability also. Chenille is being used for chair upholstery which increases its uniqueness. The height of the chair is also good that a tall person can sit on this comfortably. You can buy this good looking dining set from @home.